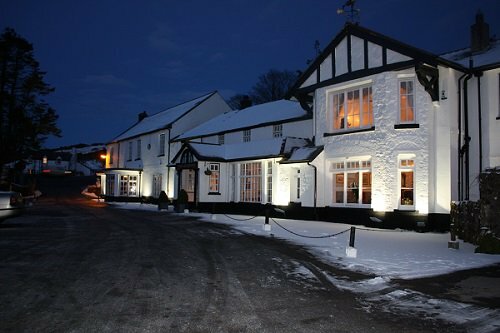 Book your perfect Christmas Break at the gorgeously historic and welcoming Two Bridges Hotel in the heart of Dartmoor National Park. Fine food, crackling log fires, warm hospitality, and festive trimmings, in the exceptionally welcoming surroundings of the Two Bridges Hotel. Choose from a four night Christmas Break arriving on Monday 23rd December, or a three night break arriving on Christmas Eve. Whichever break you choose, you'll enjoy a comfortable room, dinner each evening, a fabulously traditional Christmas Day Lunch, and our full Devon Breakfast each morning. We've lined up some other festive treats for you to enjoy too during your stay with us this Christmas. If you’re arriving today, you can look forward to a delectable three course dinner in our award-winning Tors Restaurant this evening. A perfect way to start your Christmas Break in relaxed style. Join us for a welcome drink in our bar and lounges, and perhaps meet up with friends old and new in front of our crackling log fires. 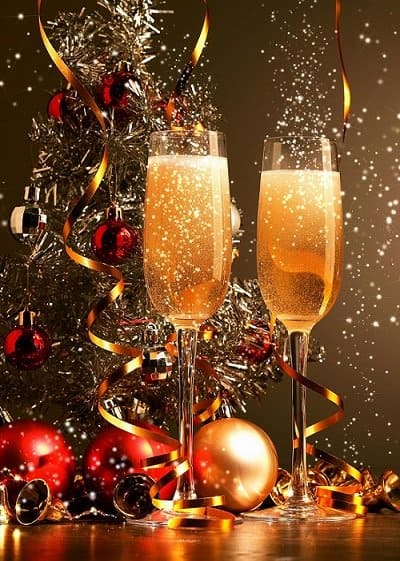 This evening our Executive Chef Mike Palmer and his team will be preparing a special 5-course set menu Christmas Eve dinner for your enjoyment. Relax in our bar and lounges after dinner, where our magician will be on hand to entertain and amaze you! If you’d like to attend a Midnight Mass at one of our local churches, we’ll have mince pies and hot chocolate waiting for you on your return. Happy Christmas! Start the day with our hearty Dartmoor Breakfast – but be sure to leave room for our sumptuous and traditional Six Course Christmas Day Lunch (with an appearance from the man in the red suit perhaps?). Enjoy a lazy afternoon in our warm lounges (and a board game or two? ), and look forward to a delicious Grand Buffet Supper followed by movie night with ice cream and popcorn. 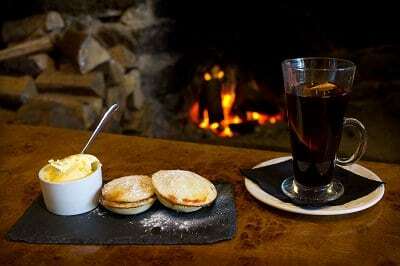 Start your Boxing Day in style, with a splendid Dartmoor Breakfast. There will be the chance to blow away the cobwebs with a guided Dartmoor walk (nothing too strenuous though! ), and for something a little different we’ve arranged laser clay pigeon shooting for you to have a shot at! Alternatively, you could head into nearby Tavistock, and enjoy the traditional sight of the Hunt send-off. As the light fades and the candles are lit, join us for our Murder Mystery Dinner – just make sure that you have your sleuthing-skills at the ready for a night of high intrigue! Do take your time over our traditional full breakfast (or Eggs Benedict this morning perhaps?). We’ll be sorry to wave farewell (perhaps we can tempt you to stay an extra night or two to explore Dartmoor at this beautiful time of year?). Prices are per room, based on two people sharing, including meals and activities as described above. 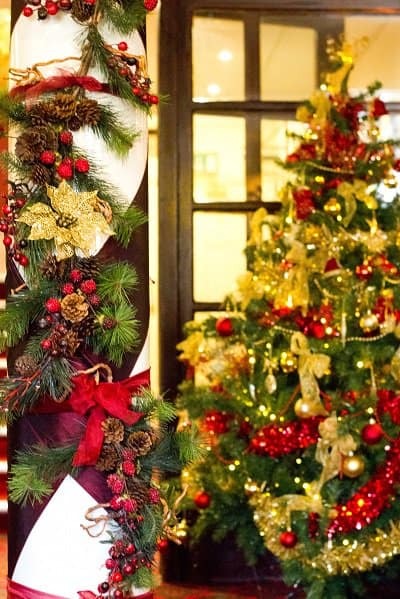 To book your Christmas Break at the Two Bridges Hotel call 01822-892300. We will request a non-refundable deposit of £250 per room to confirm your booking, with the balance payable by 30/11/19. It’s a good idea to take out suitable travel insurance to provide you with cover in the event that you should need to cancel for any reason. Dogs are very welcome, in most rooms, and charged at £12 each per night. We have a limited number of Country Rooms available for sole occupancy – please ask our Reservations team for prices. We are pleased to cater for special dietary requirements with advance notice. Please ask us if you need to know more about the ingredients we use in our dishes.